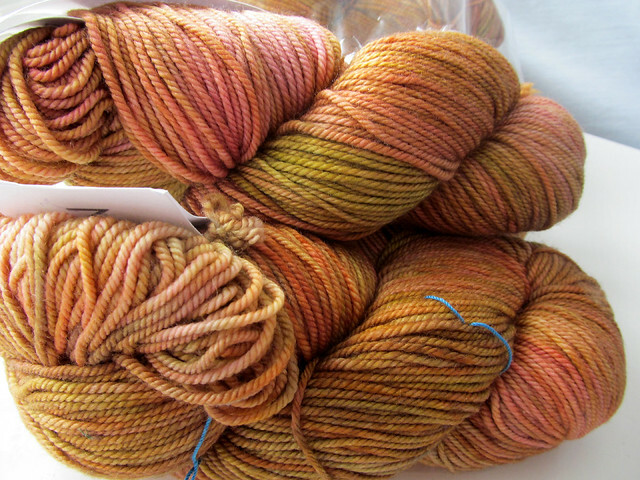 This woman sent me Regia and Madeline Tosh sock yarn!!! In my mind, the trades weren’t even but her rationale — she got them free from her MIL so it’s more of a win for her than me. I disagree but I wasn’t going to argue with her! 😛 I can’t wait to work with these!!!!! Gotta love her! Awesome mail, I’m so jealous! Now I have to go find some awesome patterns for these goodies. All of that yarny mail is fabulous!!! I know right???!!! I love them all. Now I have to do right by my stash. I gotta stop stashing and start creating!!!!! 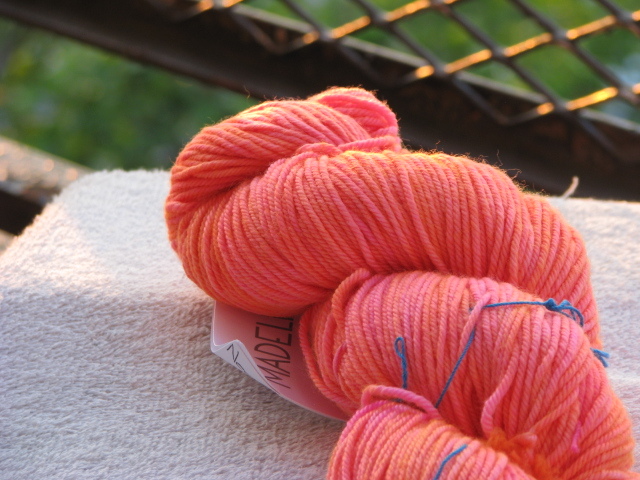 Girl … some of these cool yarn acquisitions were part of my indiscriminate buying when I’d just learn to knit. My criteria for purchases was “oooooh pretty”. 😀 LOLOL! Some I got as gifts. Now I’m off that track, I have some decent one & two skein combos that have too much yardage for a scarf but too little for a sweater. It’s been rough finding inbetween projects; I mean … how many scarves does one person need right? Where MadTosh is concerned, I’m trying not to loose my head. That yarn is divine but there are others I’d like to try so I’m trying to not be too married it the line. I feel you … I have Tosh but I’ve yet to complete an entire project from it; I keep looking for the perfect pattern. LOLOL! oh my, gorgeous beauties! madtosh, regia, and more madtosh. and bonus that you get to stay on the sheep! I know right!!!!! I’ve had some of the best trades ever from Rav. Awesome community!